As a bride to be, you have many responsibilities ahead of you to make your day perfect. You will be dealing with a lot of different people to help you achieve this. 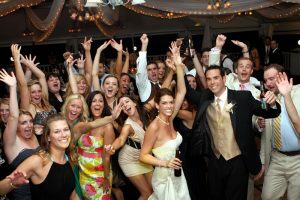 One group that will need your attention, is your wedding party. You will most likely be choosing who your maid of honour, bridesmaids and flower girls will be. Then your future husband will have the task of choosing the best man and ushers. For some of this, you and your partner will need to work together. You will want the colour of the dresses of your wedding party to work well with the colors that the men will be wearing. If you already have your colour choices made for the girls, then you can give the guys some choices in what their colors should be. Although this is your special day, do have some consideration for your wedding party. They want to share this special time with you, and they too want to look their best. Don’t forget also that your wedding photos are going to be important. You want the colors you choose for everyone in the pictures to work well. So keep in mind the personal characteristics of each person in your wedding party and how your colour choices will affect them. For example, if your maid of honour has red hair, then a pink dress is really not going to compliment her. Style is another big issue that may be of a concern to some of the girls in your party. You may think that low cut dresses would be perfect, but there may be a few of the girls that would be highly uncomfortable with this. What you can do is converse with your wedding party and ask them if there is anything that they would be totally against, so you have some guidelines.